The company has for the last two months been working intensively to solve the economic situation due to the cancelled and postponed event in Anderstorp. In order to ensure its survival, it was decided in the Stockholm City Court September 7, 2010, upon application by the company’s principals, to put the company in reorganization. This means that all who have demands on the company, both businesses and individuals, will be contacted by a designated administrator shortly. The main focus of the reorganization is that the company will survive and be able to operate properly. 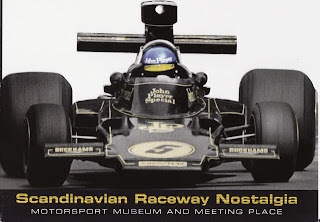 So perhaps I’ll haveda run off to Anderstorp next May? Uhm? Oh yeah that’s right, I think there’s some little racin’ thingy going on at The Brickyard then, eh? Back to the WET Stuff! The Ultimate Indy 500 Starting Grid! Hey Joe! Where’s uze goin’ with that Laptop? INDYCAR: Homestead Thriller – Sorta, NOT!